“Blindspotting” is one of the most unique movies you’ll see this year. It’s mixture of comedy, drama, and rap, and a powerful look at current life for many today in America while also being a love letter to Oakland. It was one of the movies that premiered at this year’s Sundance Film Festival that I couldn’t stop thinking about. Director Carlos López Estrada’s striking look at two friends in Oakland who are just trying to get through life despite obstacles like police brutality and gentrification, “Blindspotting” is one of the most unique movies of the year. Daveed Diggs (who originated the roles of Marquis de Lafayette and Thomas Jefferson in the musical “Hamilton”) and Rafael Casal, star as lifelong friends Collin (Diggs) and Miles (Casal). Collin is counting down the days until he’s through with probation but Miles isn’t going to make things easy as his volatile ways could throw Collin right back into the system. And things get even more complicated when Collin witnesses a white police officer (Ethan Embry) gun down a black man in the back. 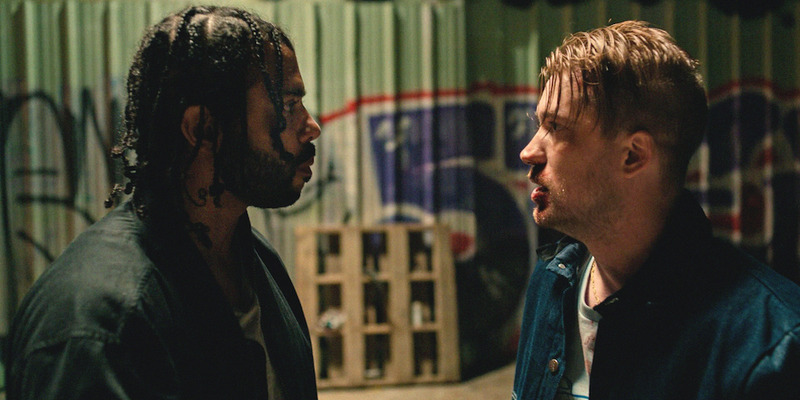 Using comedy, drama, loads of Oakland references, and the rapping skills of both Diggs and Casal, “Blindspotting” is part love letter to the Town (which is having a major cinematic moment with “Black Panther” and “Sorry to Bother You”) and part examination of America in 2018. The lifeblood of the movie is the connection between Diggs and Casal, who both penned the screenplay. Real-life friends who have now hit it big with a feature film, the two show incredible range in their performances which hits its zenith at the end of the movie when the undercurrent of race finally explodes into rage. Then there are the freestyle raps. One in particular, a dream sequence that explores black men and incarceration, is one of the most powerful scenes captured in any movie I’ve seen so far this year. The movie currently has a 93% critic score on Rotten Tomatoes. See where “Blindspotting” is playing near you.